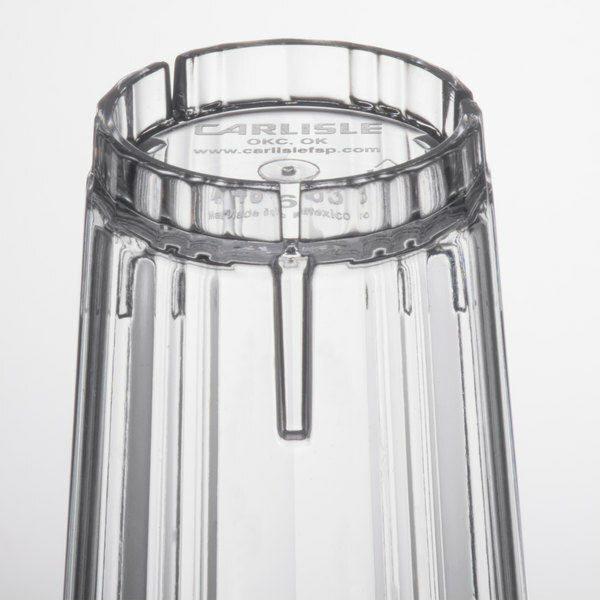 Made of durable polycarbonate plastic, this crystal clear Carlisle 4363307 Lafayette 8 oz. 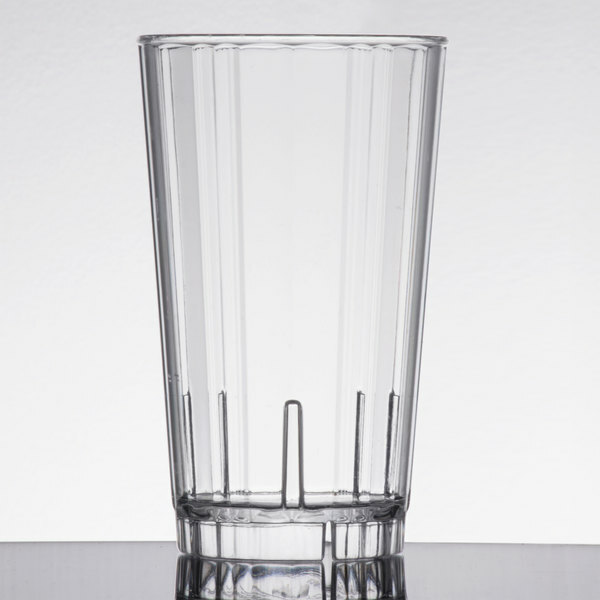 tumbler is perfect for serving ice cold mixed drinks, soda, juice, and water at your pool side bar, restaurant, resort, or anywhere breakage is a concern. 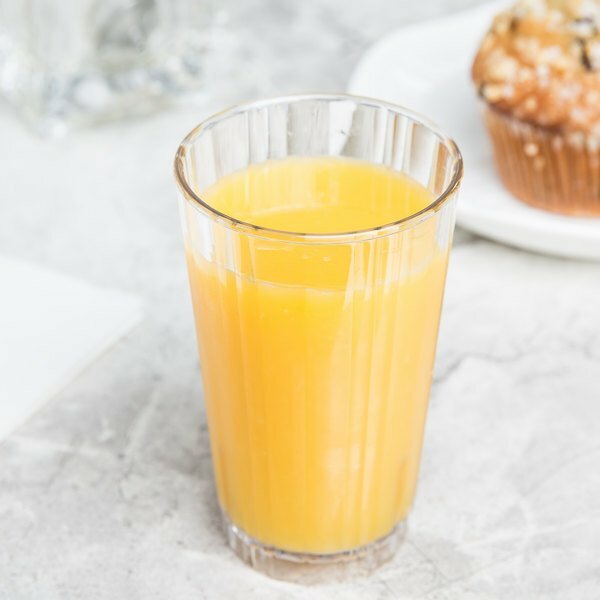 The Carlisle 4363307 Lafayette 8 oz. 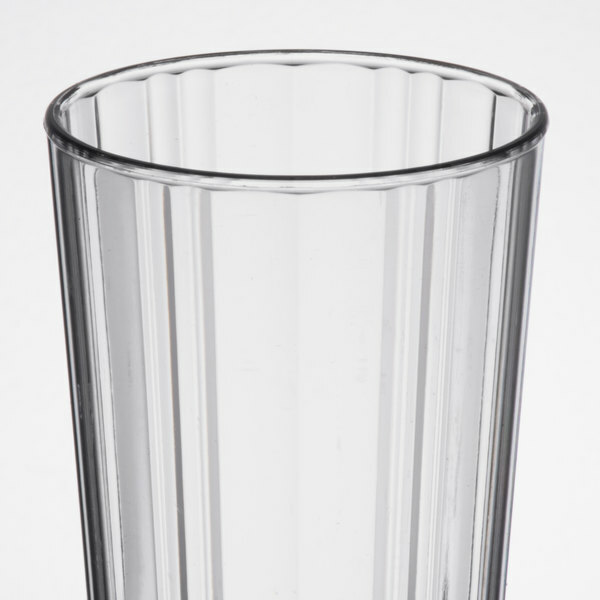 clear plastic tumbler features a distinctive fluted design for an upscale appeal. Stacking lugs prevent jamming and promote fast drying. Rim-Full Capacity: 8.3 fl. oz.